When cities formed, they were essentially just groups of people coming together in one place. What we imagine as a city now is a far cry from what they were originally. 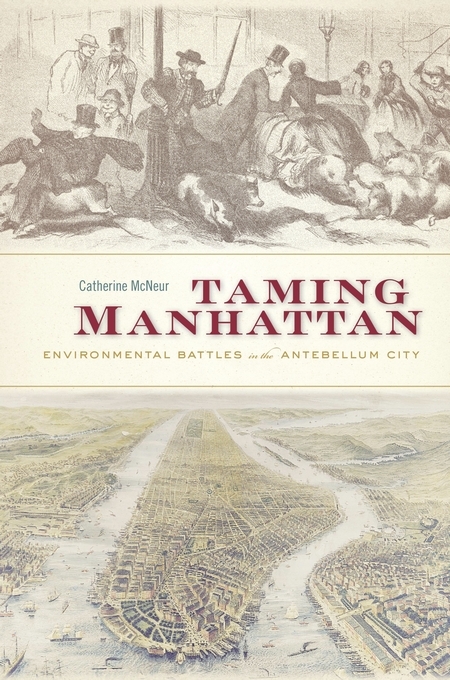 Catherine McNeur, a historian and professor at Portland State University, takes a look at New York City during its infancy in her book Taming Manhattan: Environmental Battles in the Antebellum City. The book covers a period of time when a politician’s view on the issue of urban pigs could make or break them. On this episode of the podcast, Catherine talks about the book, including the early pig riots, how the city interacted with the nearby farms, and the push away from local foods. She also tells a story about her move to Portland and how she kept running into urban livestock while finishing the book. The story and interview were recorded at KBOO Community Radio in Portland, OR.